Long before patented medicine, tonics were homemade remedies made from common household ingredients. A tonic is considered a medicinal preparation that is intended to strengthen or improve body function or well being. You could make you own tonic from just about anything including: vinegar, honey, molasses, lemon juice, garlic, cinnamon, maple syrup, cayenne pepper, ginger, baking soda, peppermint leaves, or Himalayan salt. There are hundreds of choices and recipes that are touted as a remedy, cure, or miracle. While results vary, it is certain that each of the above ingredients have nourishing and medicinal properties that can stimulate change in the body. One such “Miracle Elixir” is the Garlic, Apple Cider Vinegar, and honey tonic. This tonic is well represented on the Internet and is available as a book, “The Honey, Garlic and Vinegar Miracle”, and “Honey, Garlic, & Vinegar Home Remedies”. I had to try it and found it almost palatable if diluted in juice. Blend on high speed for 60 seconds and leave in the refrigerator for five days. Two teaspoonfuls daily is reported to aide an array of dis-ease including arthritis, elevated blood pressure, high cholesterol, obesity, colds and infections, to name a few. Where is the evidence? 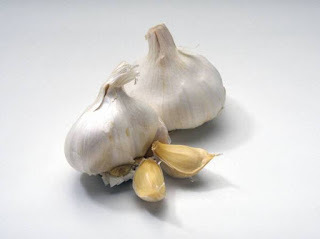 The National Cancer institute offers information that garlic significantly lowers the risk of cancer. Vinegar is a foundation of many tonics with impressive benefits, especially for arthritis, blood sugar control, and as an anti-infective. Honey contains at least 31 nutrients including 13 minerals, component parts of nine vitamins, six acids and four key enzymes. With all this support it may be worth your effort. Hi what is the dosege and how many times a day ?